With Olympians Jamie Wilmot driving and gold medallist son Nathan calling tactics, David Fuller’s Beneteau 40, Fujin, won all eight races in her class at the 2016 Raja Muda Selangor International Regatta. The win in Class 3, delivered the Dato’ Abdul Aziz Ismail Challenge Trophy to Wilmot. 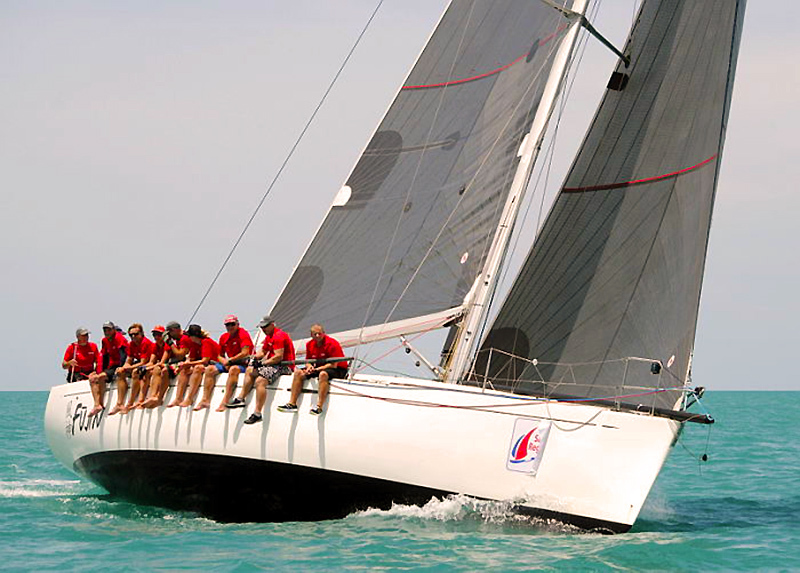 Fully equipped by Ian Short Sails, Fujin has enjoyed an outstanding year with first placing in IRC 1 at the Langkawi International Regatta and a third placing in IRC 1 at the Samui Regatta.